A fresh Gamro, Sweet Dew Tea just arrived. This variety of Gamro has small leaves. It is a bit more intense in flavor, aroma and color than regular Gamro. The slight sweet refreshing taste not only reminds of the friendship but also the early morning bucolic atmosphere. The tea came as a gift from my South Korean friend Park. Few years ago my friend and I were walking in Seoul, saw a girl in a store promoting a tea, giving small portions to drink. We tried and I bought 2 packages right away. That was Gamro, and it has been a fascinating tea since then. 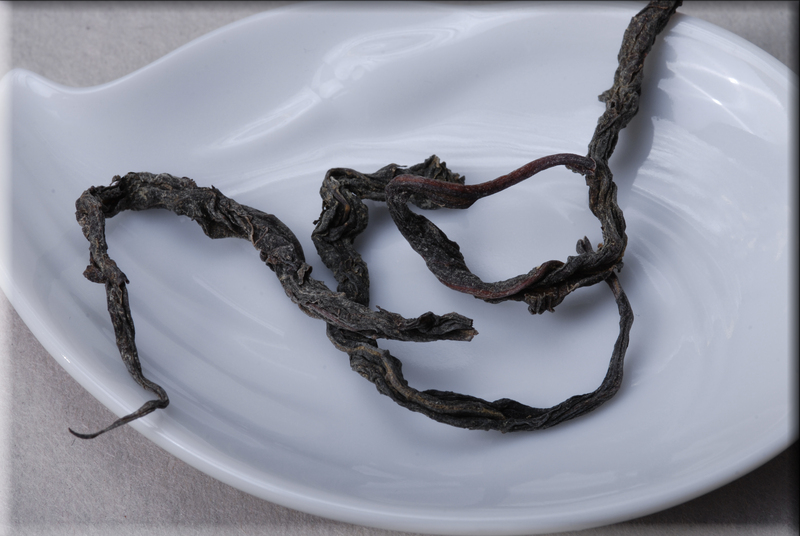 The Gamro tea leaves are very delicate. Being light and twisted they can remain intact in the bottle. Their asymmetrical shape gives a sparkle to the teapot. 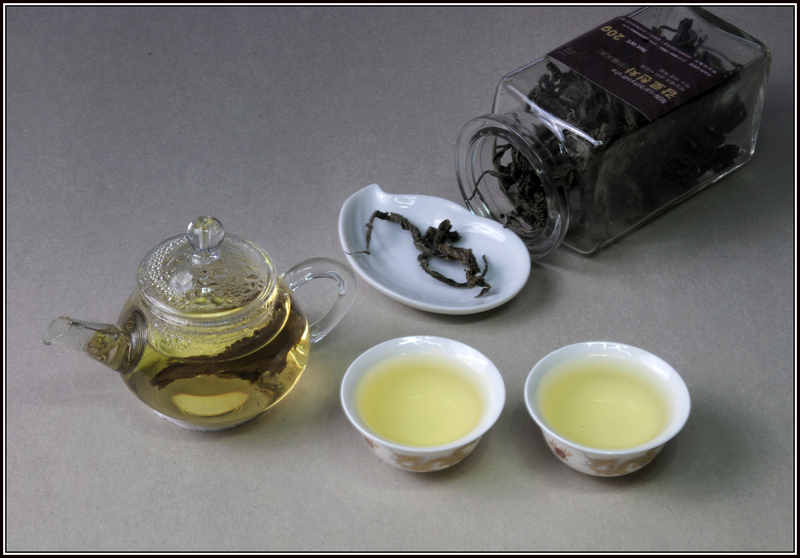 This entry was posted in Korean Gamro Tea and tagged Gamro tea, Herbal Tea, Korean Herbal Tea, Korean Tea, Sweet Dew Tea, Tea picture, Tea tradition. Bookmark the permalink. Thanks for your comments. 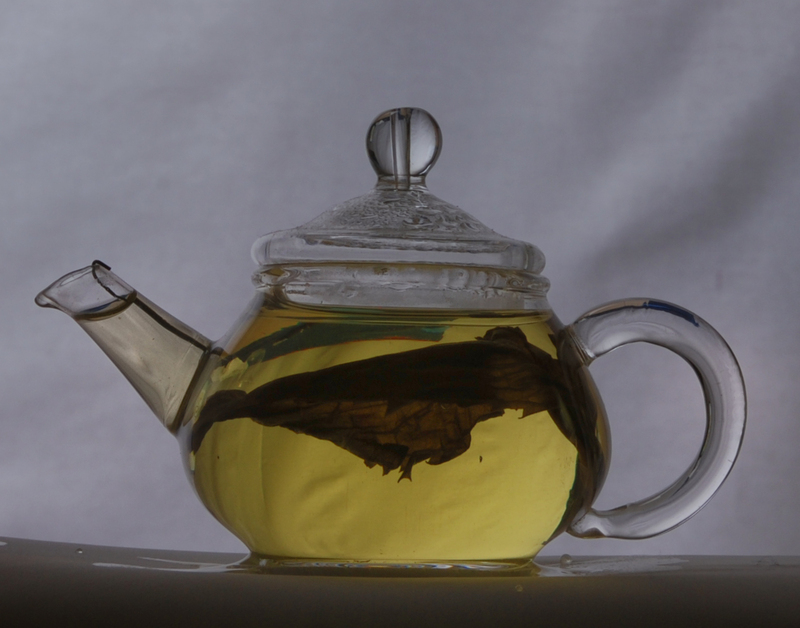 Please keep checking the blog, soon I’ll have new postings on the Gumro Tea. Hi thestrongandbeautiful, to the best of my knowledge this tea is only available in South Korea where the four seasons are clearly defined and winter might have some snow. I’m still trying to get more information on this tea and will post when available.